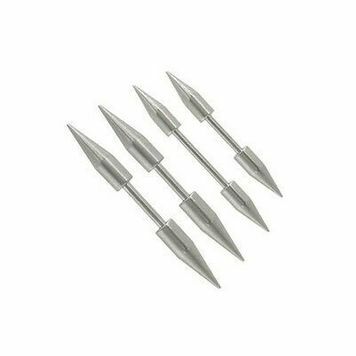 This is a unique straight barbell great for multiple piercings made with a 316L high-grade surgical steel and replacement spike beads. The entire piece is nickel free. Item sold individually. Available in different spike bead sizes and barbell length.